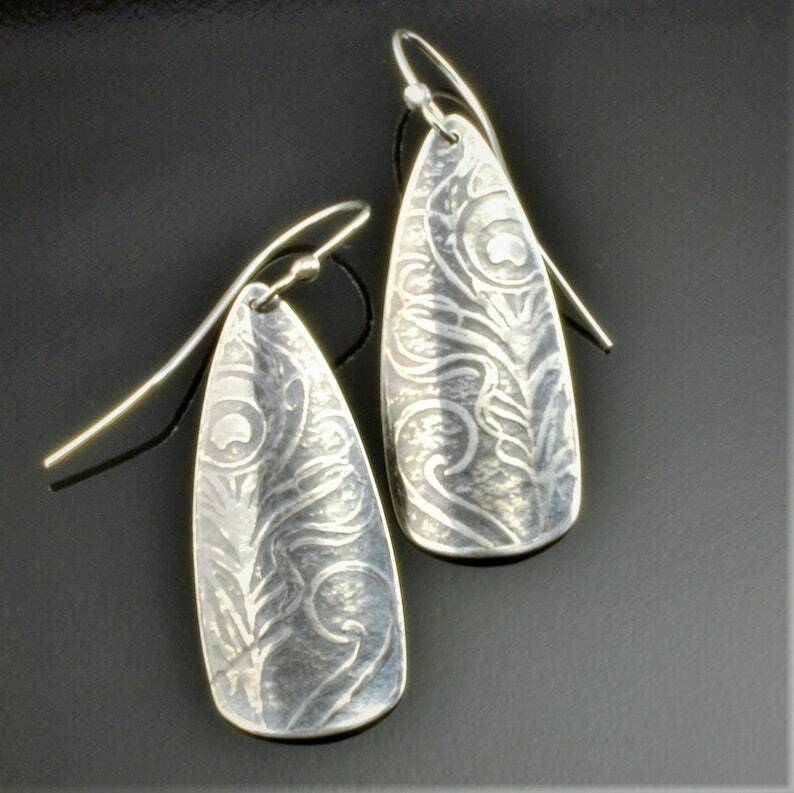 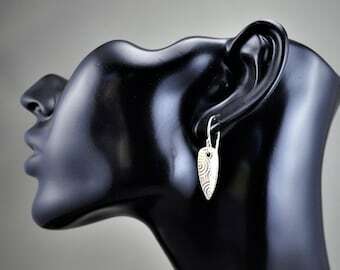 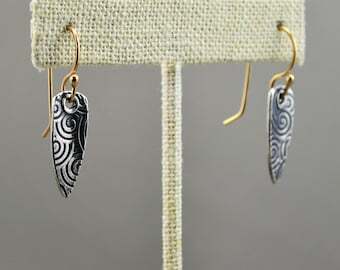 I roller printed these beautiful sterling silver earrings with a raised peacock feather pattern. 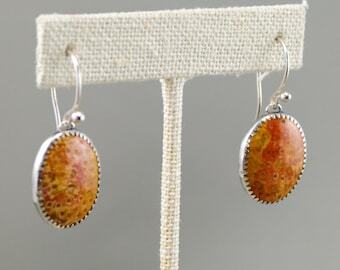 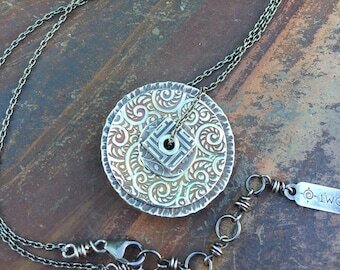 They are bold but light, with a gentle background patina. 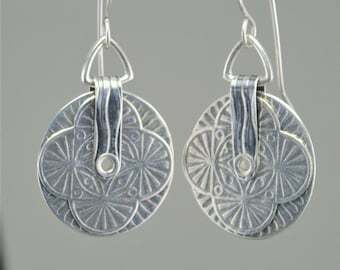 The earrings hang from tarnish resistant Argentium®️Sterling silver earring wires. 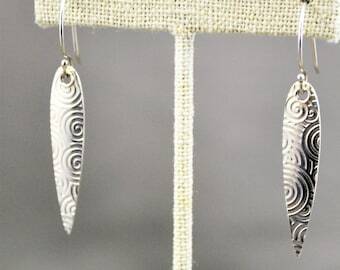 2-1/8" from top of wire.